Music Neil Young Is Coming! Neil Young Is Coming! Neil Young is coming to Vermont. Just let that sink in. Roll it around on your tongue for a minute and then we'll continue … ready? Neil freakin' Young is coming to Vermont! This morning, Alex Crothers and the folks at Higher Ground Presents announced that the Godfather of Grunge will play the Champlain Valley Expo on Sunday, July 19. He'll be backed by Promise of the Real, an LA-based band that features vocalists/guitarists Lukas and Micah Nelson. Maybe you've heard of their dad, Willie? Opening the show is Norah Jones' band, Puss in Boots. According to Crothers, this is believed to be Young's first appearance in Vermont. So why now? 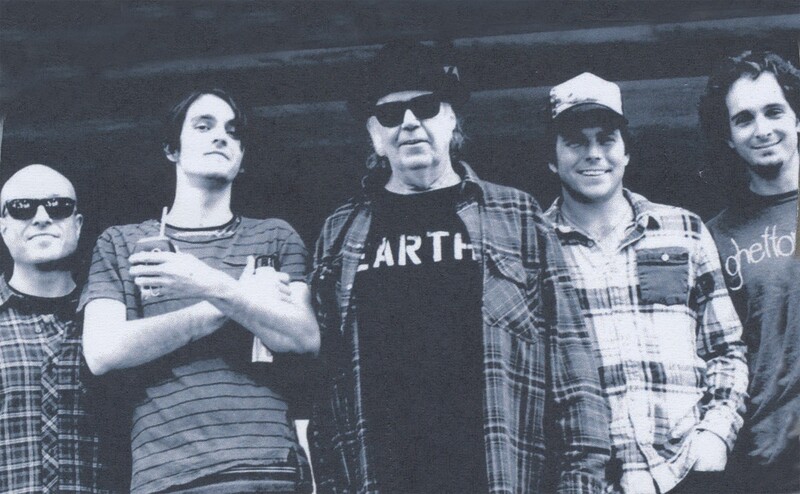 Well, for one thing, Neil Young and Promise of the Real have a new record due out in June, titled The Monsanto Years. So they'll be touring in support of that, naturally. Young has been a vocal critic of, well, all kinds of stuff recently. More specifically, he took coffee giant Starbucks to task in November for the company's role in a lawsuit pitting the Grocery Manufacturers Alliance — an organization that includes aggro ag monolith Monsanto — against the State of Vermont over GMO-labeling requirements. "It's a classic David and Goliath fight," Young wrote in a November 9, 2014, post on his website. "There's much more at stake here than just whether GMO foods will be labeled in a single U.S. state. Vermont is the very first state in the U.S. to require labeling. Dozens of other states have said that they will follow this path — in order to encourage this, we need to ensure that Vermont's law stands strong." And the best way to do that? Keep on rockin' in the free world. Or, in this case, Vermont. Tickets go on sale this Friday, April 24, at 10 a.m. They will quite likely be sold out by 10:02 a.m. Available at flynntix.org or in person at the Flynn Box Office.